The latest speculation on Khloe and Tristan doesn't look good. 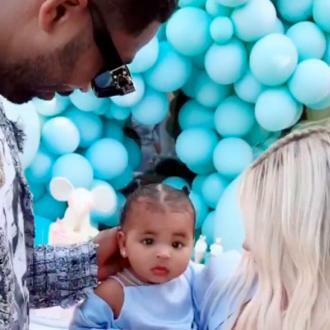 Over the last month, speculation has been rampant over whether new mum Khloe Kardashian will forgive her boyfriend Tristan Thompson, who allegedly cheating on her throughout her pregnancy. Reports emerged earlier this month that the 27 year old pro-basketballer cheated on numerous occasions on Khloe, 33, while she was pregnant with daughter True, to whom she gave birth just over a fortnight ago. Therefore, she’s in a quandary as to stay in Cleveland with Thompson to give their relationship another chance, or to return to Los Angeles to the rest of the Kardashian clan to raise the baby alone. Another factor that’s probably keeping her with him – at least for now – is that Thompson’s NBA team, the Cleveland Cavaliers, will be competing in the play-offs through to June this year. As a result, she’s prepared to stay put in Ohio until then, as she’s not willing to deprive Thompson of bonding with the baby. Meanwhile, a separate report by Entertainment Tonight on Wednesday (April 25th) indicates the pair’s relationship is “not in a good place”.